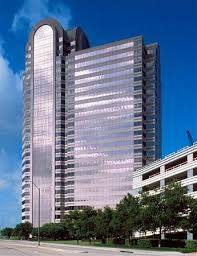 Frisco child support attorney - Tadlock Law Office - Call 214-550-1122 for Free Consultation. Child support is a financial mechanism used by courts to ensure a child’s material needs are met. A basic parental duty identified in the Texas Family Code is the duty of providing financial support. In cases involving children, a court will typically require that the Texas Family Code Child Support Guidelines are applied. Frisco child support attorney Gerald Tadlock works with his clients to identify and advocate for a child support obligation that best suits the parties, as well as the children. The Texas Family Code offers guidance upon which child support obligations are calculated. For example, the non-custodial parent with one child typically pays twenty percent of their net available resources for child support. The percentage applied by a court depends on the number of children involved in a case, as well as other children for whom the paying parent is supporting. Frisco child support attorney Gerald Tadlock advocates for the proper application of these guidelines. This includes situations where a parent not be playing by the rules. Occasionally, a parent may seek to avoid paying child support by purposefully losing their job. Another frequent tactic is to obtain employment that pays an income substantially less than the parent can earn. 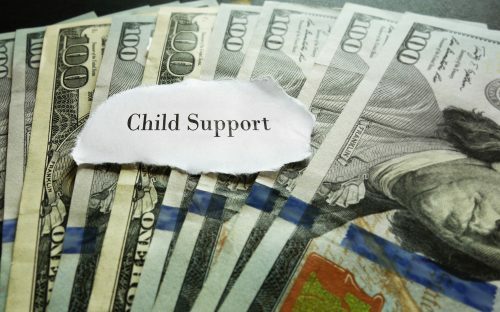 In these situations, a court can make a finding that the parent is intentionally under-earning for the purpose of evading child support. Frisco child support attorney Gerald Tadlock has experience in pursuit of parents seeking to avoid their child support obligation, as well as defending those wrongfully accused of doing so. These allegations are serious matters that can have devastating consequences for both party’s financial future. Texas Family Law courts are empowered to order child support in an amount that varies from the Texas Family Code guidelines. Courts may consider several factors in doing so. For example, a parent who fails to exercise their periods of possession may be ordered to pay an increased amount of child support. The failure to exercise possession rights often places a financial burden on the other parent, which can be compensated in the form of increased child support. There a many ways a court can vary from the child support guidelines. Frisco child support attorney Gerald Tadlock can assist you in identifying a variation that is appropriate for your situation. He will then advocate for you in the courtroom, or in alternative dispute resolution. A court order to pay child support is an extremely serious matter in the State of Texas. There are very few debts that can result in incarceration if unpaid. Child support is certainly one of those debts. However, there are several defenses for not paying child support. When a parent is seeking to enforce a child support order, it must be done in a procedurally proper manner. Failing to prepare the court documents properly can lead to the loss of your ability to seek enforcement of unpaid child support. In fact, doing so improperly could lead to the issuance of sanctions in certain circumstances. A parent seeking to defend themselves for unpaid child support has a number of statutory and procedural defenses as well. An experienced Frisco child support attorney can assist you in identifying whether those defenses apply in your situation. Contact the Tadlock Law Office at 214-550-1122 for a FREE CONSULTATION to discuss your child support matter.